Barcelona is crowded. La zona turística is filled with people, constantly. Many come to walk along Las Ramblas (a famous tree-lined path with souvenir and ice cream kiosks), to visit the Picasso Museum, or to rollerblade near the coast. But few come to visit the ancient synagogue, La Sinagoga Major, small and inconspicuous. I was about three months into my semester in Spain when I first visited the synagogue. My cousins were in town, a newly married couple honeymooning in Europe. After visiting a few typical tourist sites together, we began our search for the synagogue. We turned the paper map torn out of their Barcelona guidebook upside down and sideways. Google Maps kept directing us in circles near and past our destination, Carrer de Call. We asked several locals for directions but only a handful were able to give us the general indication that we were on the right track. Finally, rounding a tight corner boasting high-widowed apartments and a tattoo shop, we spotted, on the seemingly ordinary wall of a narrow passageway, several Hebrew characters etched into the stone. A few paces past that corner was a small, white fabric sign, embroidered with the word “Shalom,” the most common Hebrew greeting and the word for “peace,” a warm welcome. Inside was a small (only about 60 square meters), cavelike enclosure of crumbling bricks. One can see the original, sixth century brick floor supporting subsequent layers of thin stones, marking the passage of time. Half of the synagogue is laid out like a museum. Several informational panels help guide visitors through the building’s history and a host of liturgical objects, donated by collectors from all over the Mediterranean, donned the main room in glass display cases. No standing congregation holds services there, but the room is a potential prayer space. A Torah can be brought in and housed in a wooden ark and there are several rows of seats. The guide, Natalia, was friendly. She spoke Spanish, English, Hebrew, and Catalán, and with her children, spoke all four. The tour she gave my group was conducted in English. 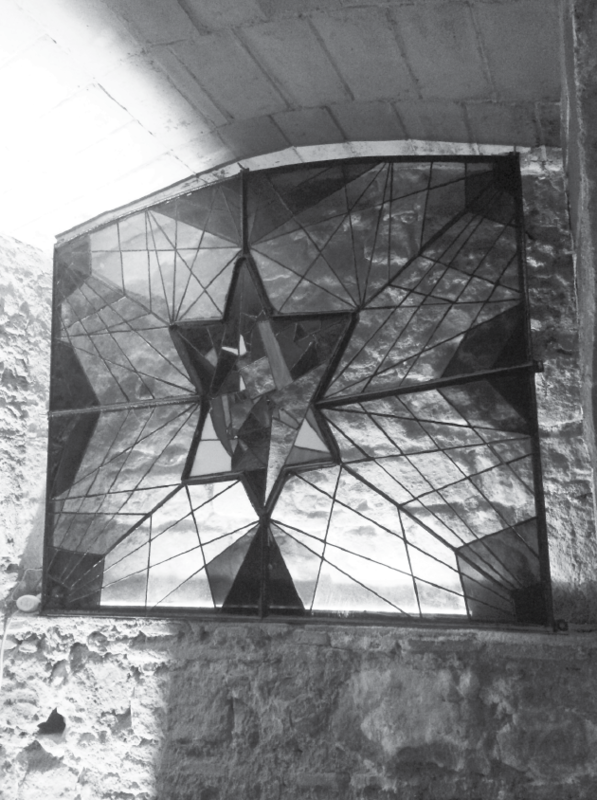 It told of the specific history of the place, tracing events that mirrored the Jewish people’s complex historical relationship to Spain. The building underwent multiple restorations. Originally constructed in the sixth century, its floor has been raised, its width doubled, its doors and windows sealed shut, and its interior converted into a storeroom for grain. Now, it functions as a museum, charging a modest 2.5€ admission. It had once been a flourishing prayer place for Barcelona’s Jewish population, celebrating, partying and socializing all in Catalán. I fell in love with the little synagogue. After more than a thousand years and several rounds of expulsions, the small stone building remains standing. Seated inside, one can feel the struggle and persistence of the structure and of the culture who one worshiped within it.